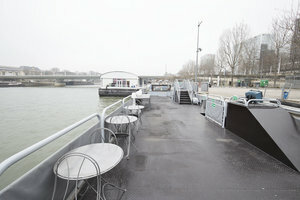 This private barge is located on the Seine, close to the Île Saint-Louis. 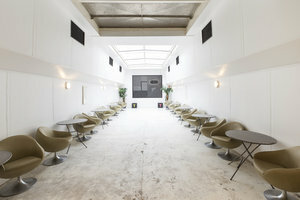 At 260 sq m this modular space is perfect for creative Events. Divided over three rooms with one 140 sq m space at ground level and two additional rooms of 60 sq m each at basement level, this space is flexible. 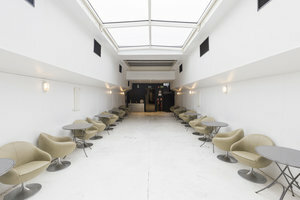 The interconnected rooms allow for freedom in curation and also offer versatility in operations and basements spaces can be used for storage. The interiors are modern and white washed with modern furniture and a beautiful glass ceiling which fills the space with natural light. 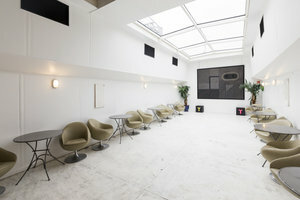 Located close to the Seine and the Gare de Lyon station, this is an excellent location for private events that is both easily accessible and sophisticated.